The Korg KROME-88 is an 88 key workstation featuring full-length, unlooped samples for an exceptionally a natural sound with an intuitive TouchView? interface that displays all your parameters and controls. The built-in 3.8GB high-capacity PCM memory features a range of piano and drum sounds as well as new electric piano patches to unleash your creative side. The semi-weighted, 88-note keyboard delivers a natural feel and response for optimal playability. The KROME-88 is equipped with Korg's Natural Weight Hammer Action design to compliment every nuance of your playing dynamics. 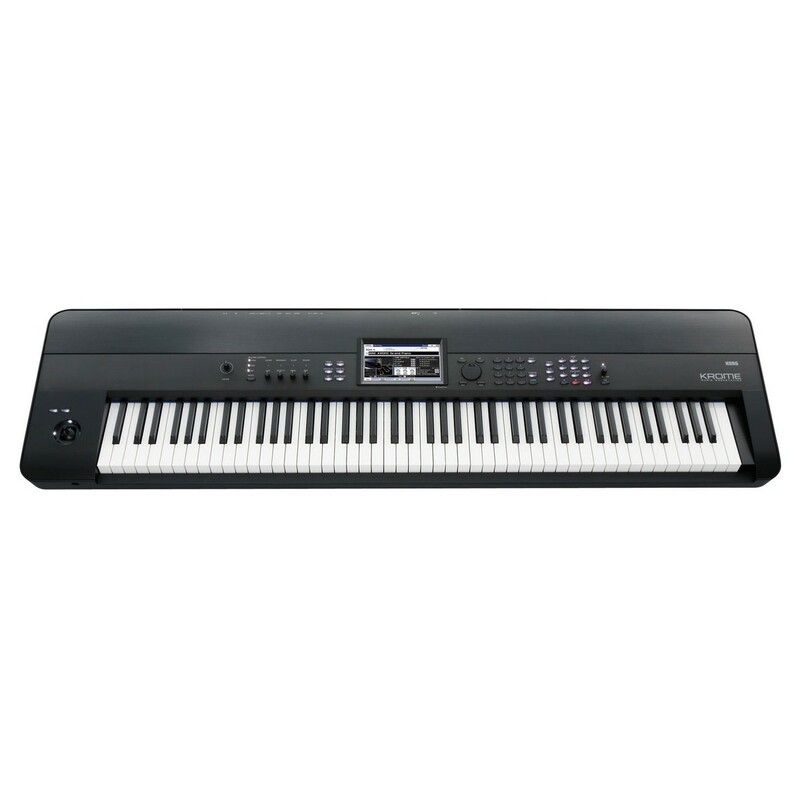 Additionally, the Korg Krome includes a USB connection for easy connection to your computer an SD card slot for management of the KROME's data files. The Korg Krome 88 Workstation incorporates Korg’s NH (Natural Weighted Hammer Action) keyboard, designed to replicate the natural fluidity of grand pianos. The natural feel and weight ensures you pick up every nuance of your playing dynamics, reflect when playing sounds such as drums or pianos. The 88-key configuration features all the notes you will need spanning over 8 octaves in total for optimal versatility. 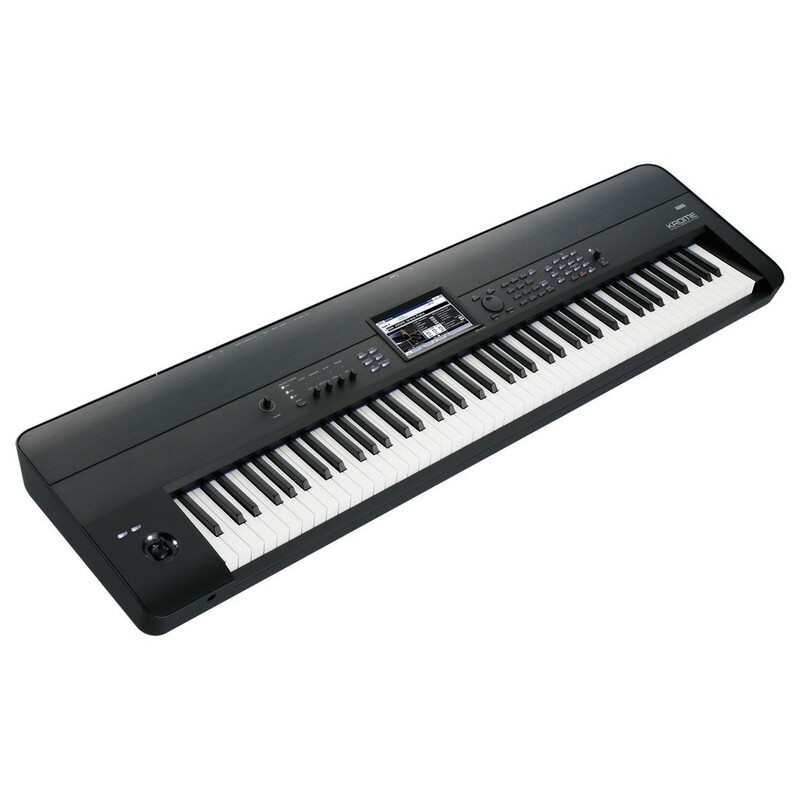 The full-length keyboard includes unlooped piano and drum sounds as well a new electric piano for stage and studio applications. This wide range of built-in sounds allows you to unleash your creativity, with both drums and pianos including individual parameters for comprehensive control and expression. 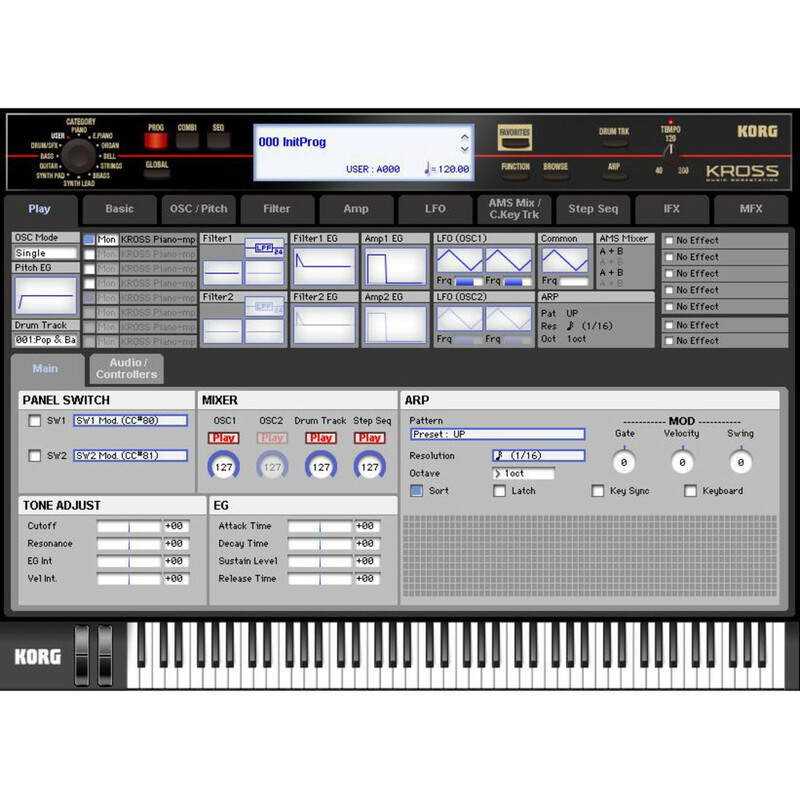 The Korg Krome includes a range of drum sounds that offer separate mixing options for both direct and ambient sounds, delivering studio-grade quality audio. The drum track is designed to be as realistic as possible, with inspiring grooves created at the touch of a button. The electric pianos feature eight-level velocity switching for unparalleled expressive power, allowing you to delve into the inner workings of the sound. The comprehensive range of sounds are expertly crafted with over 640 programs and 288 combinations in total that can be modified to your liking. 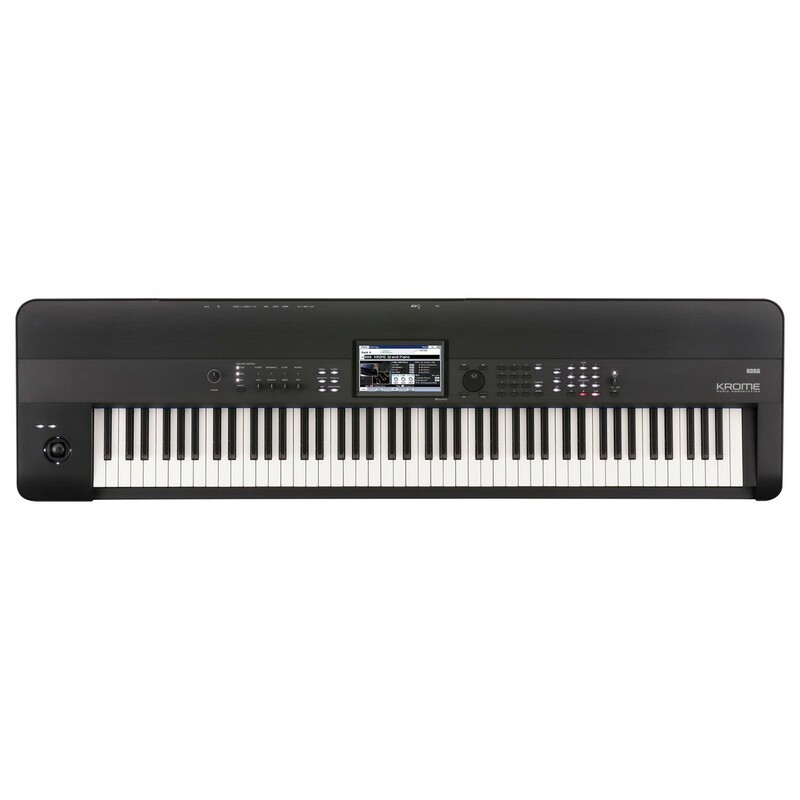 The Korg Krome 88 Keyboard Workstation also includes a range of powerful, studio-grade effects with 5 inserts, 2 master and 1 total FX as well as per track/timbre EQ. This range of effects allows you to add depth, crunch and clarity to your sounds, allowing you to manipulate the tone and style of each sound with ease. The highly intuitive TouchView™ colour display features a 800 x 480 pixel resolution, giving you access to a numerous parameters that can be simultaneously displayed. The touch-screen design allows you to change sounds or edit parameters at the touch of your fingers. You can also edit using ‘finger-dragging’ giving you the ability to use the on-screen sliders and knobs directly. 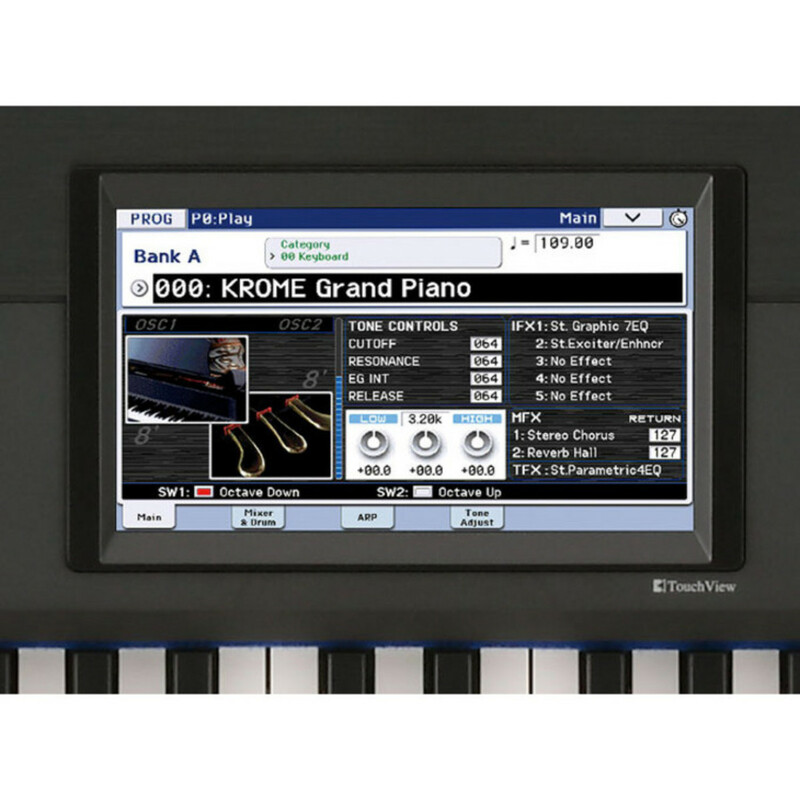 The TouchView interface includes a wide range of controls and paramters including the piano roll editor, stopwatch as well as a calculator keypad for entering numerical values. 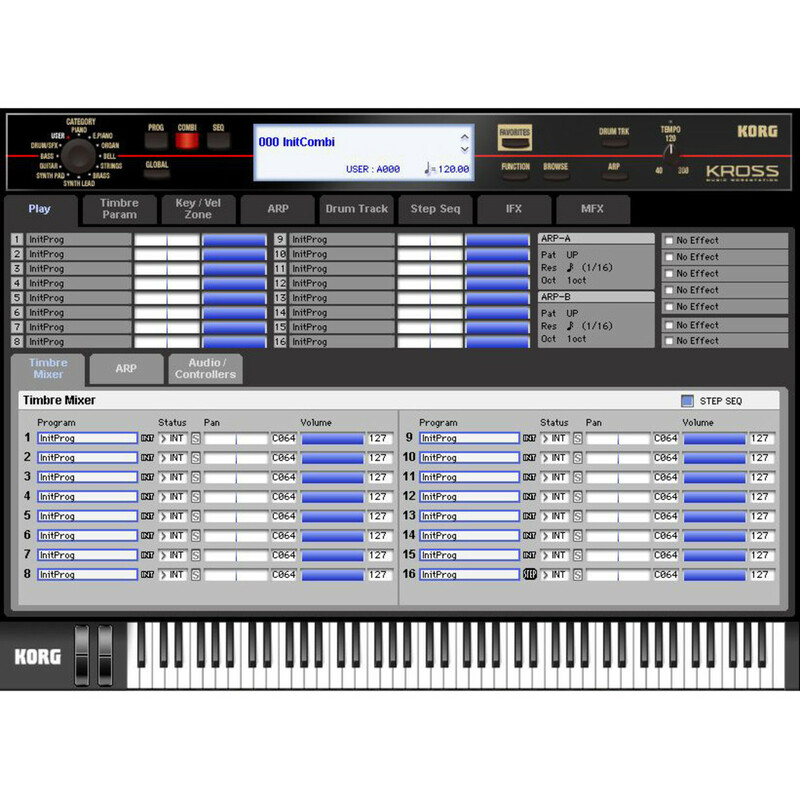 In addition to the intuitive touch-screen interface, the Korg Krome boasts a standalone and plug-in editing software designed specially for the Krome Workstation. The KROME edito and KROME Plug-In Editor allows you to edit your KROME from your computer, giving you access to large numbers of parameters simultaneously, as well as being able to use the KROME in your favourite DAW as a software synthesizer. Also included is USB and SD Card connections, with the USB connection allowing you to use the Korg Krome with your selected DAW program. The SD Card slot allows you to manage Krome’s data files.